. 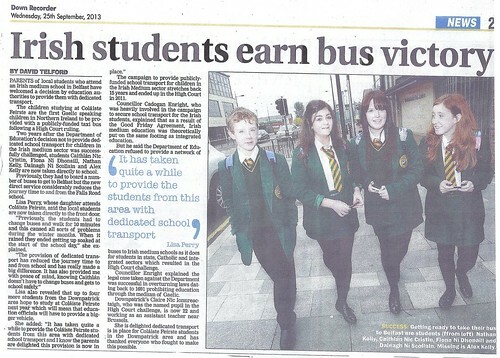 Closed Tags: Ballyhornan, bus, bus to school, downpatrick, Gaeilge, irish language, IRISH LANGUAGE VICTORY. sept 25 2013 irish school bus, a photo by CadoganEnright on Flickr. The campaign to get transport to school for Irish speaking children continues.